A pair of flashy Oyo tourmalines that may be copper bearing, but have not been tested by a gem lab. 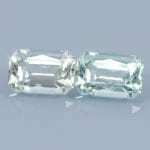 The crystal was slightly more blue on one end than the other, so they are probably matched closely enough for earrings, but maybe not for side stones in a ring. 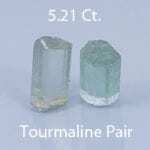 Comments: A pair of flashy Oyo tourmalines that may be copper bearing, but have not been tested by a gem lab. 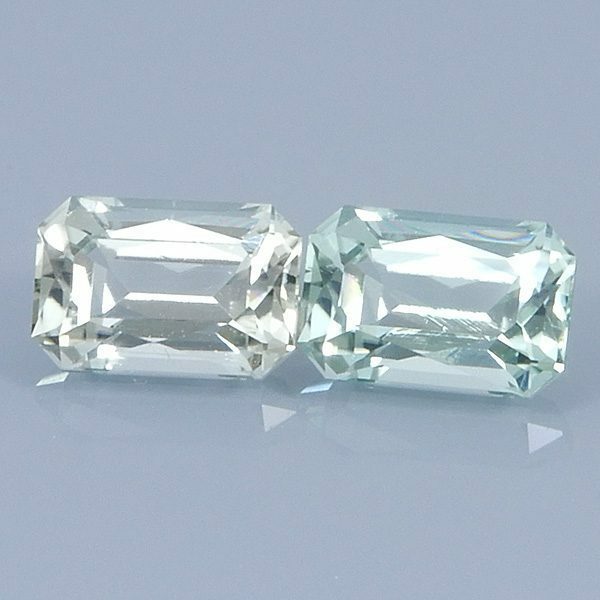 The crystal was slightly more blue on one end than the other, so they are probably matched closely enough for earrings, but maybe not for side stones in a ring.